Comments: A member of the milkweed family that is closely related to wax or hoya vine. 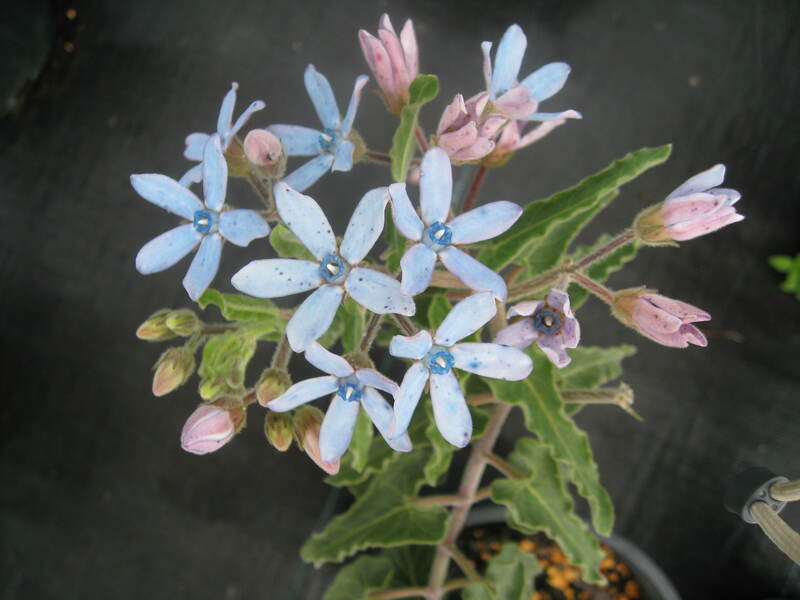 A weak grower that produces a perwinkle blue flower. Grown in containers or for cut specimens. Can become and invasive pest if the spent flowers are and deadheaded to prevent seed production. Hardy in zone 8 and those higher and can stand a light frost or freeze.